Nurien is a new virtual worlds platform that makes intensive use of Nvidia Geforce 8 Series to show stunning avatars, animation and graphics. Of course, it needs lots of resources. H3DAPI 2.0 is the new release of the open source haptics C++ API. It is for adding simulation of touch to virtual reality applications. Jim Dorey, virtual reality and 3D cinema expert, introduces you to 3D applications for the iPhone. An article that you shouldn't miss if you own one of those device. Vivaty launches Vivaty Points, which is a way to start earning points for all the great events and activities you do when in Vivaty. You can earn Vivaty Points for adding friends, sending gifts and more things. Start accumulating these points just now. Augmented Reality Video Monumental Projection on a post by AnnieOK, virtual reality expert that built the virtual worlds timeline that is shown in our sidebar. The largest CGChallenge ever, with over US$220,000 in prizes, that has ever been. Entrants are challenged to depict their favorite myth or legend, with a steam-punk aesthetic, via a still image or video. If you like Steampunk and are a digital artist, don't miss this opportunity. Google Chrome is a lightweight web browser that is a good complement to Mozilla Firefox because it uses a small about of RAM and it's good if you have many apps running. Since version 0.4, it added a Bookmark Manager, that imports Firefox bookmarks much better and can manage them in a similar way. Now, Chrome just reached 1.0, which means simply that this version is more stable, and has many security fixes. In this article of Virtual Worlds News you can read explanations on how Google has decided to use Lively's technologies in other projects, due to their decision to close it. This is a good and bad news. Good because Lively may be the foundation of future developments, and bad because people that were the users of Lively are not laboratory rats. If you want to keep Lively alive, read this. Worlds In Motion interviews Jack Buser about PS Home, who shows an interest for building community. Habbo will have 2 currencies: credits that have to be purchased with real money, and now also a currency called "pixels" that will be earned by using the world regularly, and by performing achievements. The online game Tabula Rasa is going away..
On February 28, 2009, Tabula Rasa will be shutting down its servers. Read this article in This Virtual World, and the analysis that the author does about this happening. Myrl (http://www.myrl.com/) shows their statistics for October and November, and you can learn from them what worlds the users are more interested into, and to which ones they decide to join. You can see a raising activity on ActiveWorlds, amongst other interesting things. GoWeb3D Experiences, GoWeb3D’s virtual learning environment for libraries and schools, has won the award for ‘Most Innovative’ new product at the Software & Information Industry Association (SIIA) Ed Tech Forum in NYC, after being selected from numerous applicants to be one of 10 participants in the SIIA’s Innovation Incubator program. The Association of Virtual Worlds has appointed Andrew Peters (virtual world advocate and community creator) as new Marketing Director. Peters will be chartered with launching the AVW Platinum Membership Program as well as growing the community even much more. The new AVW Platinum is a high visibility premium membership package that offers members the opportunity to showcase their companies, products and services in order to build both sales and brand awareness. In addition, the Virtual Worlds 2009 is now called Engage! Expo. 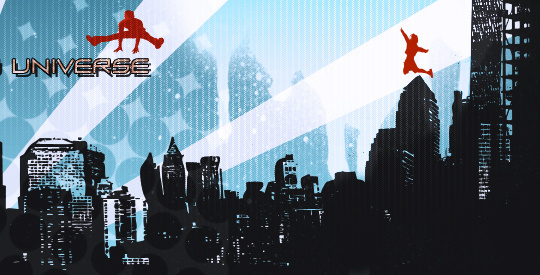 Remember that the call for speakers is now open, and that it will be on March 10-11, 2009, in New York City. It is all about immersive and engaging solutions to capture audience. Subjects covered include kids worlds, social media, games, virtual goods (micro-transactions), and teen-oriented virtual worlds and the 3D Internet. They also release a new blog: Virtual Goods News, which is focused on the business of micro-transactions, virtual goods, items and gifts. Myrl has appeared in Killer Startups. Read their review to have a quick idea of what is Myrl, and vote them. Remember to read our interview with Francesco D'Orazio, Myrl's CEO, if you didn't. Your welcome, Teri. And yes, when I started this I thought I won't have too much to publish, but now sometimes I'm in real difficulties to select the most interesting of the enormous amount of news related to virtual worlds!